Your kids will totally transform over this summer, they will establish the new goal and identify new passion in life! The well-structured curriculum for children/teens enable fencer development in a systematic approach. From beginners to competitive fencers, each level develops specific areas, such as physical condition and endurance, agility, hand-eye-foot control and balance, foot and baldework and technique, sportsmanship skills, strategic and tactical skills etc. 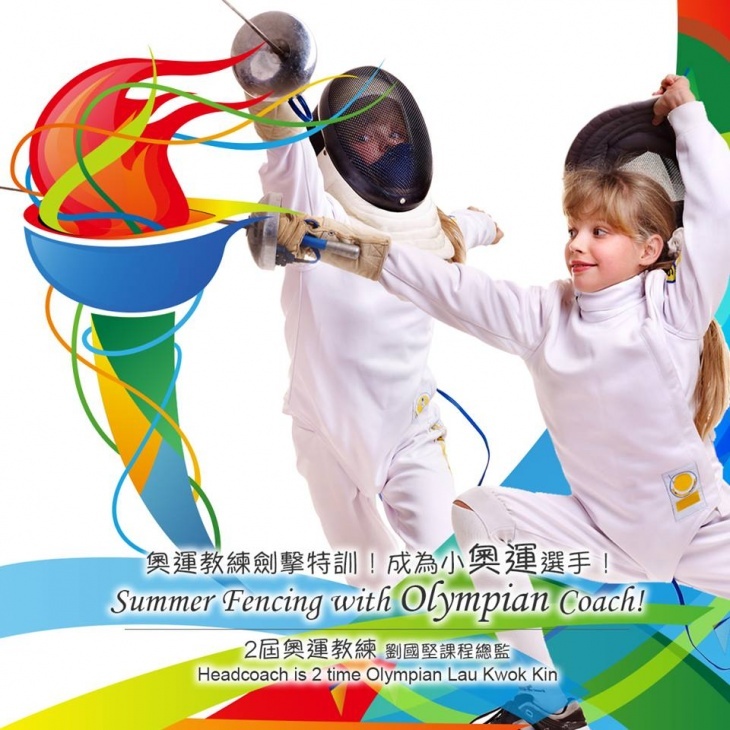 Each level length of HKFM fencing lessons program individually varies for each athlete depending on fencer’s psychical, mental or technical condition. The systematic approach to the sport education they provide stems from an ethos fostered by the founder, Head Coach Lau Kwok Kin, the only fencing master (men's foil) in Hong Kong, who has participated twice in Olympic Games and 4 times in Asian Games. Explore the benefit of fencing with added agility and discipline. Learn the art of sword with style and mastery. This Summer camp is exactly what you need! Please refer to Chinese version.